BODEGA’s aim is to develop future border checks with human factors expertise in order to enhance efficiency, border security and traveller satisfaction. The project focuses on the changes to traveller processes and border controller work due to the introduction of smarter border control systems like automated gates and self-service systems based on biometrics. The traveller is one important actor in the entire process and thus also the traveller’s role needs to be carefully considered in the development and implementation of future technologies. In order to gain better understanding of different aspects of border crossing from travellers’ point of view, we’ve conducted a survey that focuses on travellers’ experience, opinions and perceptions concerning current as well as future border control. 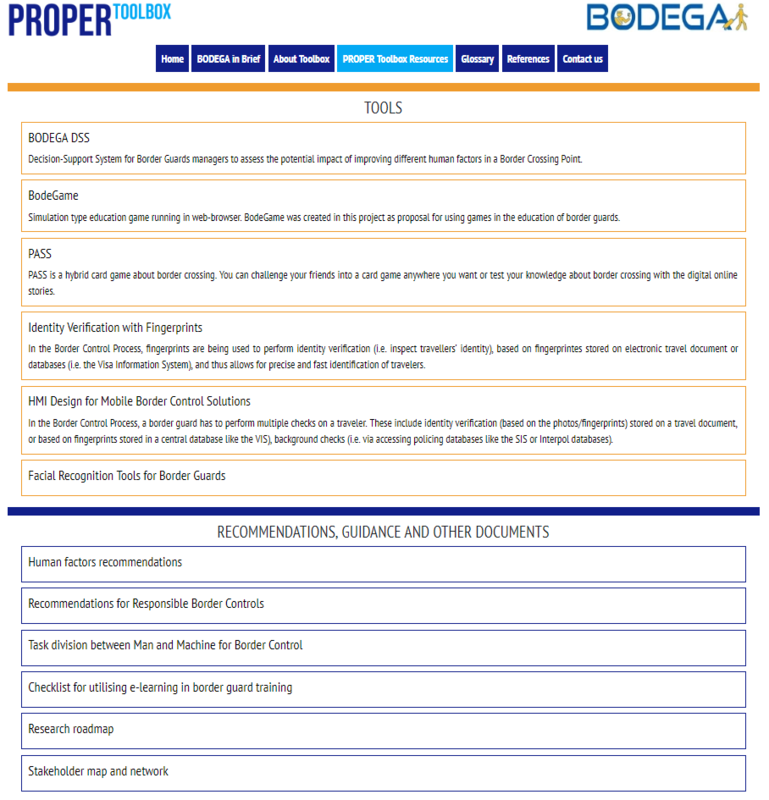 The PROPER Toolbox is an environment created for border authorities, the border technology industry and travellers that offers interactive content for exploring the outputs of the BODEGA project. 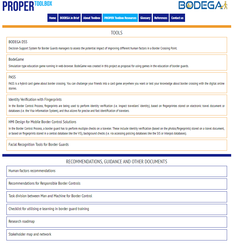 It is a free, online resource for BODEGA’s key stakeholders to translate and utilise the project’s results into their own operational context. The PROPER Toolbox Resources can be exploited to support decision-making, enhance the engineering of user-friendly systems and equipment for professional use, improve the working conditions of employees in border management, design next-generation border guard training and educate travellers on border procedures. from eNews Nr 495 BODEGA – First rail field studies began in Brussels on 8 April!